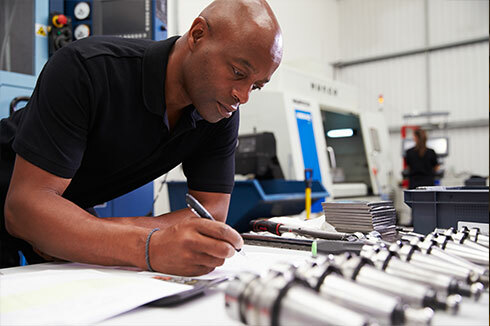 New England Engineers & Designers, Inc.
For over 40 years, NEED Personnel Placement has been solving clients staffing needs and recruiting highly skilled technical talent. We understand the demand for qualified, proven, cost-effective and specialized resources are greater than ever in today’s increasingly competitive high tech environment. We are a full service placement company providing quality professional, technical and administrative personnel to organizations representing a broad spectrum of industries including Industrial, Engineering, Medical Device, Defense and more! Whether you are looking to hire talent or you are looking for your next career move then connect with NEED Personnel Placement and discover how we can help. NEED is dedicated to finding the best talent for the job and the best job for the talent. With the talent in our database representing thousands of skills, we create the highest level of job matching for both candidates and clients alike. From the production and administrative staff to engineering and senior management, NEED can place talent in every department of a company. Below are just a few of the disciplines and skills that set NEED apart from the competition. NEED Personnel Placement started in 1974 as a contract engineering design firm under the name New England Engineers & Designers, Inc. Quickly we became a full service, multi-disciplined placement agency. In 2006 we acquired CSR Staffing Solutions in order to offer more skill disciplines to our clients and talent. We work with companies sized from startup to international Fortune 500 and consistently meet their hiring challenges. We invite you to submit your profile to our Talent Community for consideration of our confidential searches as well as for future opportunities.